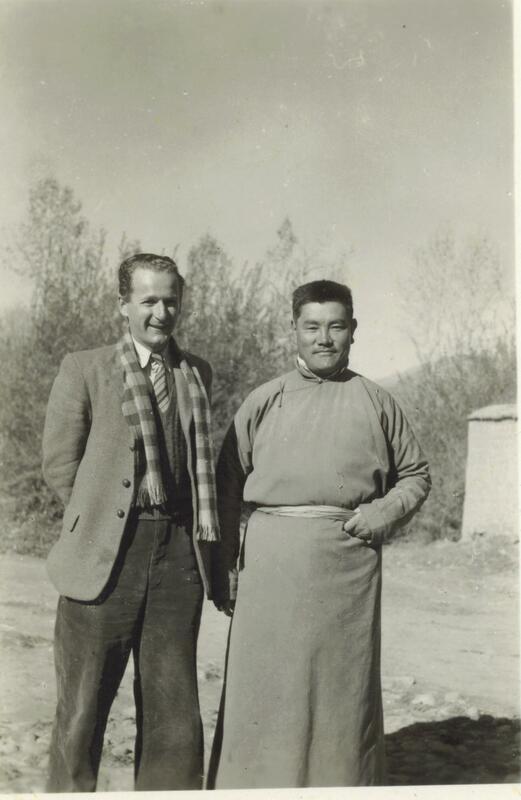 Looking through some old photos today, I stumbled across a photo taken in 1946 of my Grandfather with Robert Ford in Lhasa! My Grandfather and Robert Ford first met in Sikkim. Ford later moved to Lhasa to work for the Tibetan government so they must have met again there as my Grandfather was working for the British Mission. As many people know, Ford went on to be stationed in Chamdo and was arrested and imprisoned by the Chinese in 1950. He wrote about his experiences in “Captured in Tibet“ , published in 1957. Robert Ford is still alive today and apparently spoke at an event in London in 2008 marking His Holiness the Dalai Lama’s birthday! Old photos of Tibet are so amazing, you can spend hours going through the collection here from Oxford’s Pitt-Rivers Museum! ← When You Come to Tibet, You Will Take Lots of Photographs! Is your Grandfather Dr. Pemba la from Darjeeling?? Hi, Dr Pemba is my Uncle! So the man in the photo with Robert Ford is his Father! Best wishes. Hi Dechen la, Oh I didn’t know that Dr. Pemba la has other sibling than Mrs. Norzin Norbu la. Nice to see and hear you the other day on VOA Kunleng. Your Tibetan is very good though born and brought up in London. Keep it up. Tashi Deleg. Hi there. I just finished reading Ford’s book ‘captured in Tibet’ and it left quite an impression on me. It’s amazing that these things happened and what an impact they had through the people up until today. There is a remarkable story behind this picture. Thank you for sharing.